Ever tried any drinks made with sweetened red beans? I’ve always had a soft spot for any desserts or drinks made with red beans. This red bean and grass jelly drink is my all-time favourite one. It’s best served on a hot day. Yet, I’d love to enjoy it throughout the year. Not only sweetened red beans are versatile for making many Chinese desserts, it’s also good for making drinks. 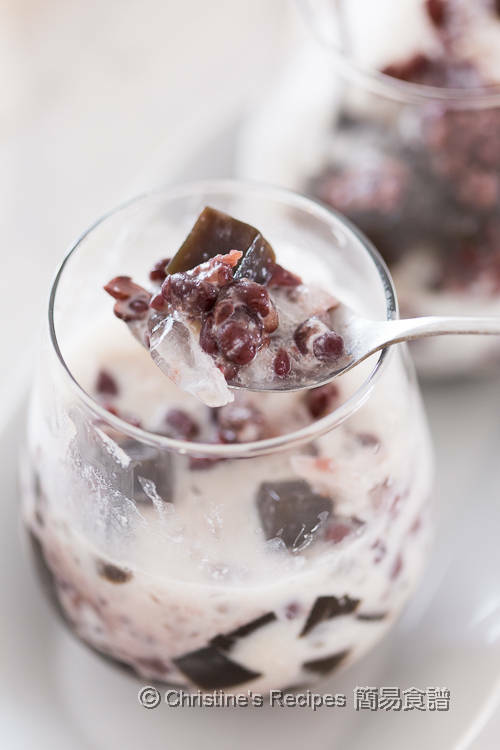 Since I got my Instant Pot, I've often used it to make sweetened red beans to whip up this red bean and grass jelly drink. Previously I also posted how to make perfect sweetened red bean over a stove top or with a thermal pot. Please hop over to have a look if you’re interested. Grass jelly, another main ingredient in this drink, is commonly used to make Asian drinks as well. Its jelly-like and slightly chewy texture with a hint of bitterness will give you an interesting feel and balance the sweetness of the whole drink so well. Nothing can beat homemade dishes. For making this delicious drink, you can freely adjust the amount of ingredients yielded and its sweetness to your personal liking. 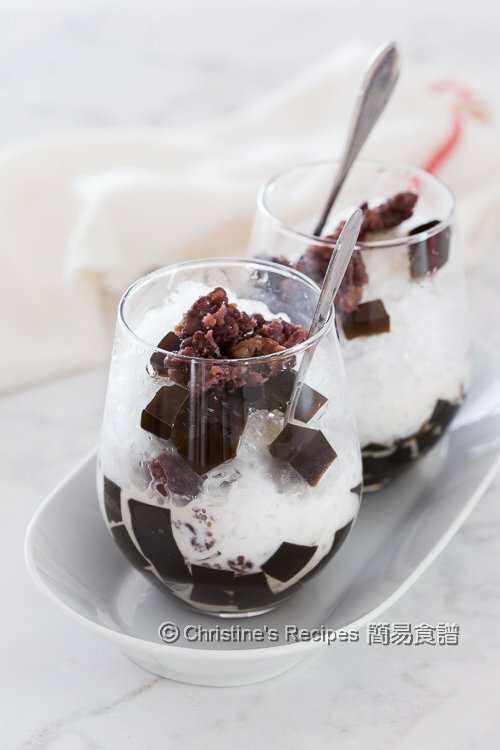 To make this red bean and grass jelly drink is absolutely easy. Literally, you can whip it up within five minutes. I often prepare all the ingredients well ahead and put them in my fridge. When I crave for this drink, I simply pop them into a glass. As my red beans are sweet enough, I didn’t add extra syrup, and only added some coconut milk to enhance the creaminess and fragrance. If you tend to enjoy sweeter drink, you can stir in some syrup. This drink recipe is so forgiving. You won’t get wrong for sure. Use this sweetened red bean recipe to make your own, or buy some canned sweetened red beans from Asian stores. 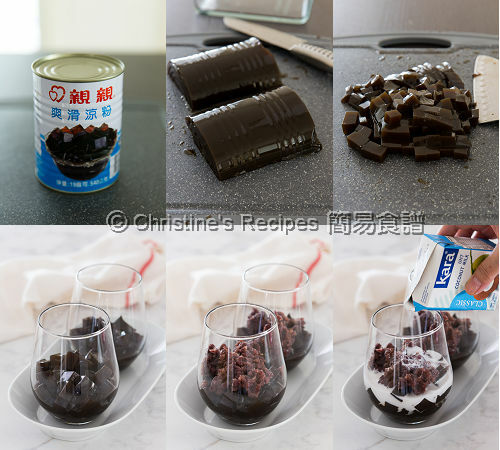 Cut the grass jelly into cubes. Put them into refrigerator and chill for later use. 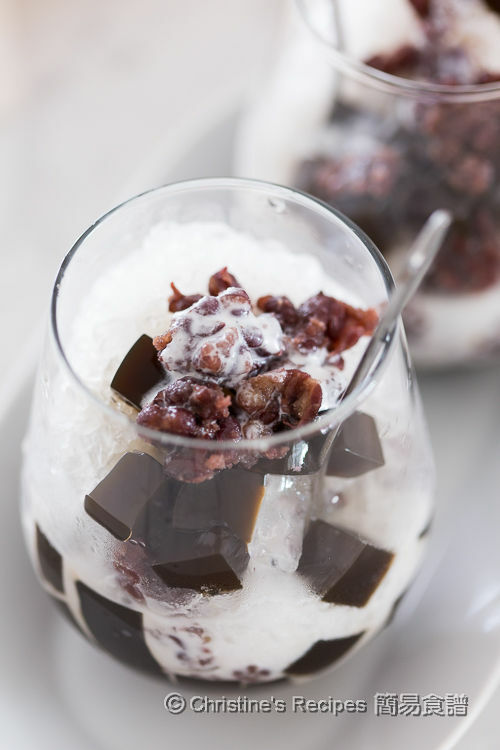 When serve, put sweetened red beans and grass jelly into a large cup. Pour in coconut milk. Add ice as desired. Enjoy! The homemade sweetened red beans can be stored in refrigerator up to one to two weeks. You can make sweetened red beans over stove top. Please refer to this post, How To Cook Perfect Sweetened Red Beans (Thermal Cooker + Stove-top). i would probably enjoy it more using cold soya bean milk. tetra pack/ canned coconut milk tend to have a oily after taste. Very yummy! 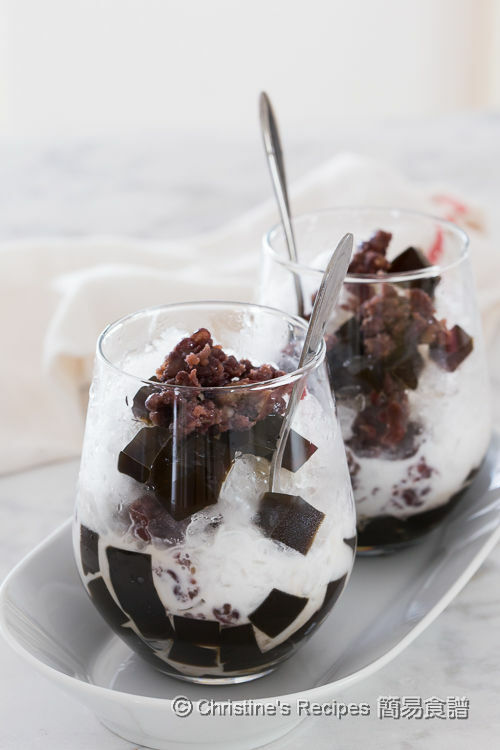 I love grass jelly and usually have lots of them during the hot summer days.